President Nana Addo Dankwa Akufo-Addo at the weekend launched the 2018 Ghana Census of Agriculture at Sefwi Wiawso in the Western Region. The census of agriculture, which started in April this year, ends around July 31, 2018 and will collate data on the sector for its proper planning and development. The programme is a collaboration between the Ghana Statistical Service and Ministry of Food and Agriculture, with technical support from the UN Food and Agriculture Organisation (FAO) to collect, process and disseminate information on the nature and structure of agriculture, and availability of agricultural and social services in agricultural communities. It will also inform the formulation of strategies and policies, as well as monitoring and evaluation of such policies in the agricultural sector. The last Census of Agriculture in the country was conducted about 33 years ago. An Inter-Ministerial Steering Committee headed by the Minister for Food and Agriculture, Dr. Owusu Afriyie Akoto, is to ensure successful implementation of the census, and establish the institutional foundation for regular censuses. President Akufo-Addo was not enthused that over the years policies geared toward agricultural development have been based largely on trial and error bases. “It is no wonder that over the years the country has witnessed a systematic decline in the agricultural sector; we cannot afford such neglect anymore. “It is my fervent hope that this 2018 Ghana Census of Agriculture will be the beginning of a new cycle of ten-year censuses,” the president added. He urged traditional rulers, religious leaders and other opinion leaders to assist in the publicity campaign on the census for maximum participation by all. “The success of the census will depend on the efficiency of our field personnel, and I personally thank them for the good work done so far. President Akufo-Addo assured Ghanaians that his government remains fully committed to completing the 2018 Ghana Census of Agriculture to improve on the National Agricultural Statistics System. He said the census will become a regular feature of national life, since agriculture remained the fuel that powers all our activity in Ghana, adding “We ignore it at our risk”. 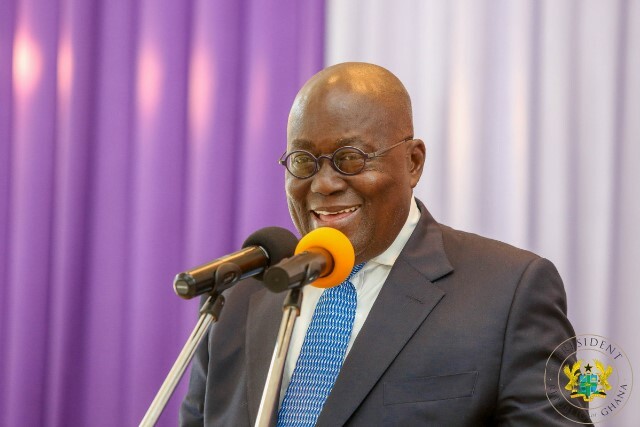 Nana Akufo-Addo said government will work to improve the agriculture sector as an agent of growth and transformation to improve upon the people’s quality of life. The Minister of Agriculture, Mr. Owusu Afriyie Akoto, noted that data from the census will also help in monitoring the country’s progress under the Food and Agriculture Sector Development Policy (FASDEP II) of Ghana. He said the United Nations had specified that every member country should have an agriculture census at least once every ten years, adding: “Ghana has not done this for about 33 years now”.